One of the latest pushes from gun control activists is to try and pressure firearm manufacturers to do things that will supposedly make guns safer. Now, most of us scratch our head at the idea. After all, guns are inherently dangerous. Their dangerous nature is what makes them useful. A perfectly safe gun is a paperweight, not a weapon. However, an op-ed recently aimed at Smith & Wesson seems to lay out exactly what the company is supposed to do. What would that mean? What key elements would be included in a comprehensive safety plan? First, AOBC should lead in the area of gun safety technologies. It should fast-track the development of guns equipped with user-authenticating technology (a.k.a. “smart guns”). 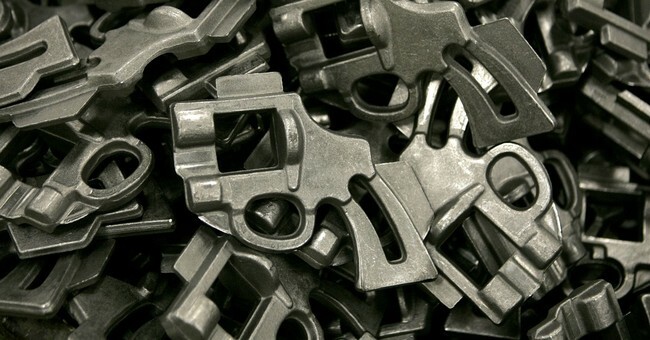 By blocking unauthorized users from firing a gun, these technologies can deter gun theft and reduce gun-related suicides, homicides, and accidental deaths. AOBC should bring an array of technologies to market — state-of-the-art locks, safes, tracking devices, chamber load indicators and others — to make it harder to steal, lose or accidentally fire a gun. Second, AOBC should strengthen its distribution system to limit the diversion of guns away from lawful owners. As in other industries, it should set and enforce standards for its sales outlets. No dealer with a record of straw purchases, break-ins or ATF violations should remain in the company’s network. Best practices should be taught and rewarded across the network. The company should institute a re-purchase or trade-in program for used firearms to discourage re-sales on the secondary market. Over time, measures like these, in conjunction with good work by law enforcement and other sectors, would create new market dynamics: fewer cheap guns available on the streets, fewer go-to dealers for buyers trying to avoid background checks, fewer stolen guns in circulation. These dynamics, in turn, will translate into fewer tragic shootings in our communities. Someone sure had a nice, heaping cup of stupid this morning, now didn’t they? First, smart guns are a non-starter. Not only is the technology problematic, but there’s isn’t a market for it. Companies don’t thrive by being activists. Not long term, anyway. They have to make and sell products that people want. No one wants smart guns. Further, developing one would hurt the company overall. For example, the moment a viable smart gun hits the market, New Jersey will require only that gun be sold. That shuts out all the rest of the firearms the company makes. It may sound like a license to print money, but it’s not. People who don’t want that particular gun will not buy that gun. As for the distribution system, someone should tell these dipsticks that Smith & Wesson, as well as many other manufacturers, don’t distribute guns to every gun store on their own. They use distributors in many cases. Those distributors then send the guns on to gun stores. This makes it virtually impossible for Smith & Wesson to do as they demand. Not that Smith & Wesson should give into demands. Instead, it’s time to hoist the middle finger of truth and tell them to step off, especially since they think fewer cheap guns is a good thing. Apparently, they believe poor people don’t have a right to defend themselves from violent criminals. I wonder why they hate the economically disadvantaged so much? Smith & Wesson should keep doing what it’s doing. It’s not likely that these mental midgets have the muscle to make them do a damn thing.